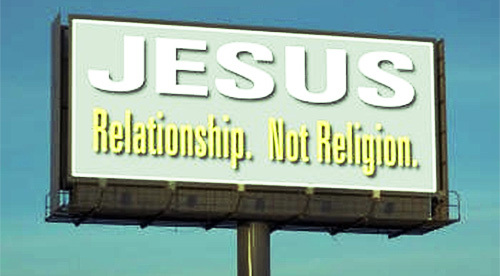 “Christianity is not a religion, but a relationship.” Words like this have been spoken often in the churches I have attended throughout my life. I don’t know where this slogan first came from, but it seems to me that it became more popular through Scott Wesley Brown’s song “I’m Not Religious, I Just Love the Lord.” That song was certainly heard often in our home when I was growing up, in addition to being on my parents’ radio station. But what does the Bible teach about “religion”?